Credit: Scripps Institution of Oceanography. Download this image (PNG, 616 KB). 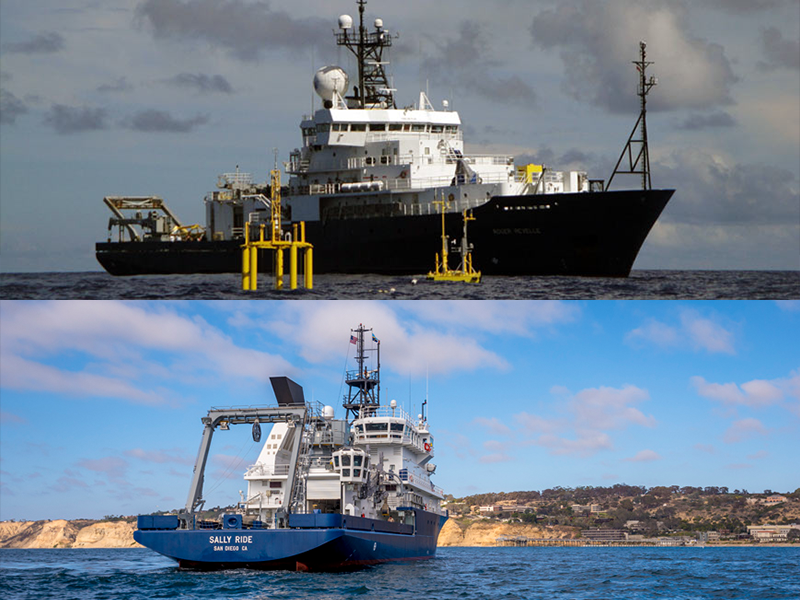 [01-Jun-18] The first EXPORTS field deployment will be to the Northeast Pacific Ocean in late summer 2018 and will utilize two research vessels: The R/V Roger Revelle (pictured at top) and R/V Sally Ride (pictured at bottom). The two ships will be deployed for 27 days of coordinated sampling, while autonomous instruments will ensure a longer-term presence.